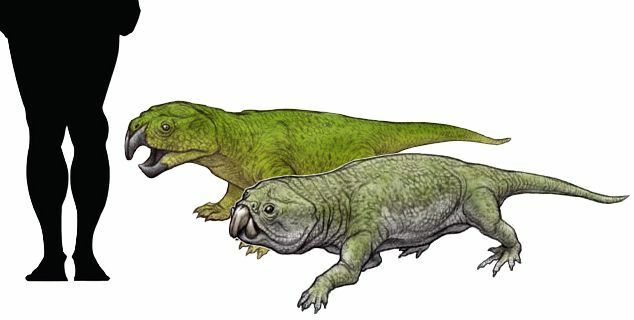 Last week, a new little reptile was [described] from the Late Triassic (around 212 million years ago) of Connecticut (USA). The specimen was originally found in 1965, but it took almost 30 years before its first description was published in 1993. This new study adds in modern scanning and analysis techniques to get a better idea of what this animal was and how it lived. A couple of rhynchosaurians with human legs for scale. From Pinterest. 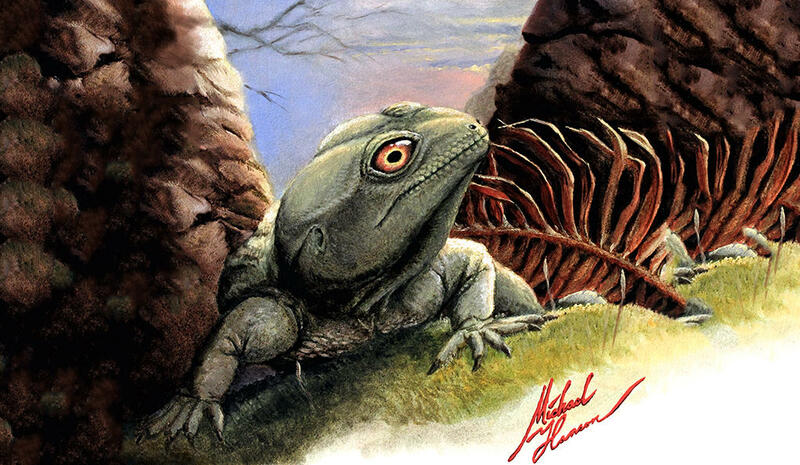 The reptile is a rhyncosaurian, a type of reptile distantly related to crocodiles, dinosaurs, and birds. Rhyncosaurians lived only during the Triassic and were typically small, but some could grow up to 2 meters long. This new rhynchosaur is named Colobops novaportensis, meaning ‘short-faced’ and ‘from New Haven,’ the area where is was discovered. Colobops is interesting because of its small size and because of a few features of its head. 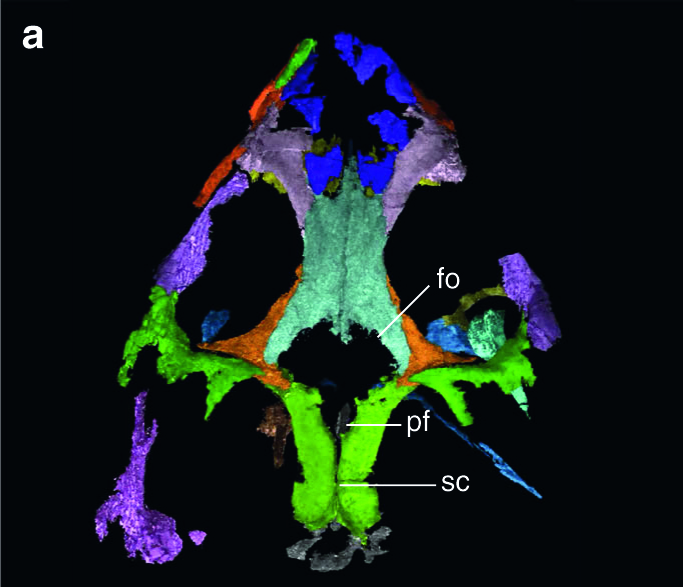 Figure 1A of the paper showing the top of the skull. The front of the skull is pointing up. This image was made using CT scans. To start, the part of the face in front of the eyes, called the rostrum, is very short. It’s only about a quarter of the length of the skull! That’s very small for a reptile. Its whole skull is only 2.5 cm (1 inch) long. So, this is a very small rhynchosaurian. Secondly, the skull has features that indicate very large muscles for biting. Even though the muscles themselves do not fossilize, the space those muscles occupy and their bony attachment points do fossilize. These bones can give us an estimate of how large the muscles were. Altogether, this species is very small and its bite was much stronger than expected for its size. An artist reconstruction of Colobops. By M. Hanson. This study shows that we can always learn more about animals by using up-to-date techniques that were not always available. It also shows how science can occur in a series of steps that build on each other. This entry was posted in English and tagged Colobops, Connecticut, Rhynchosauria, Triassic. Bookmark the permalink.